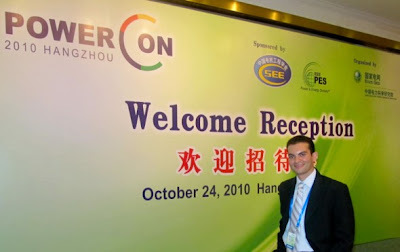 Elie Sawma, Phoenix Machinery Automation & Drive Department Electrical Engineer, presented at POWERCON 2010, the International Conference on Power System Technology. POWERCON 2010 was held in Hangzhou, China from 24-28 October 2010. During the second session, Sawma presented “Electromagnetic Induction in Pipelines Due to Overhead High Voltage Power Lines”, his senior project from Notre Dame University in Zouk Mosbeh, Lebanon. 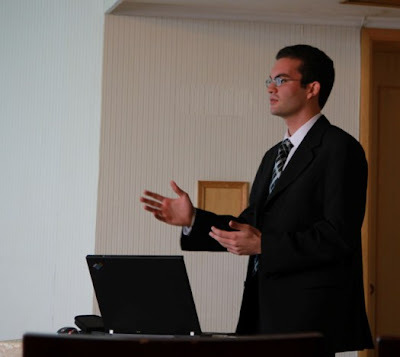 The session was chaired by Transelec-Chile’s System Development Manager, Juan Carlos Araneda. Sawma’s paper, accepted as a new innovation in the transmission lines field, included a simulation of the electromagnetic fields and voltage induced on pipelines for homogeneous and heterogeneous soil resistivity and offered two solutions for the corrosion process. POWERCON 2010, the seventh edition in its series, had the theme ‘Technological Innovations Making Power Grid Smarter’. The conference introduced and discussed the latest developments in power system technology and electrical power engineering. The international conference brought together innovators, scholars, engineers, and researchers in the field from 33 different countries and discussed such interesting topics as high-voltage direct current (HVDC) transmission lines, electric vehicles, smart power grids and wind farms. The biennial conference, organized by China Electric Power Research Institute (CEPRI), was sponsored by IEEE Power & Energy Society (IEEE PES) and Chinese Society for Electrical Engineering (CSEE). Phoenix Machinery is a memeber of INDEVCO Group, the ' Local Multinational of the Middle East'.